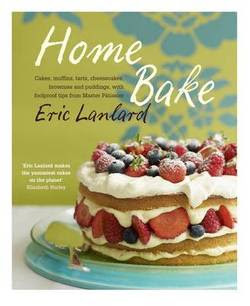 The cover of this book sports an oozing sponge piled high with whipped cream and fresh fruit. A greedy girl's dream. As I started to flick through the pages for a little baking inspiration, I noticed something different from the books I've reviewed recently. Nothing looks perfect. The WI would have a fit. There are cakes with over-risen peaks, lemon glaze seeping onto table cloths and (dare I say it...) crumbs! 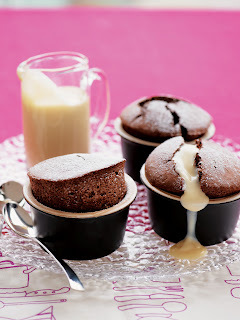 Eric Lanlard is a Patissier by trade, and other recipes reassure me that he is capable of perfection. I think this makes me like the book even more. He chooses to make cakes that are a feast for the eyes as well as the belly. I chose to test one of Eric's classics which is sold in his cafe-patisserie 'Cake Boy', in London; the Cake Boy Chocolate Sponge. It used melted rich dark chocolate instead of cocoa powder so made a much richer sponge. I covered my cake in melted Galaxy chocolate, which made it richer still. I'm not normally a huge fan of chocolate cake, which is why I was keen to see if this could win me over. It was a chocolate sensation. It was moist and not overly sweet. The only thing I would amend next time would be the size of the tin. I found I had too much mix for a 20cm sandwich tin as suggested, but then again all mixtures have a little mind of their own. I would just suggest filling yours no more than three quarters full. "When adding the eggs, the cake mixture can look as if it has split. 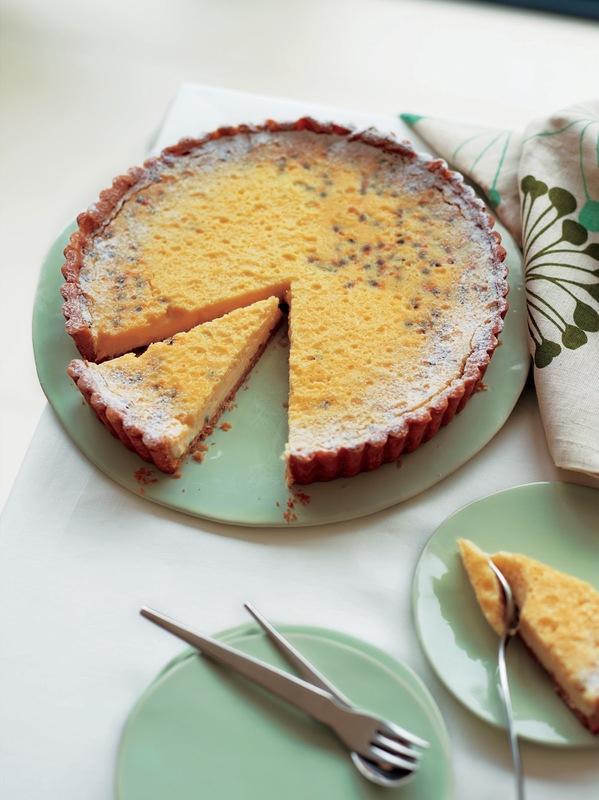 Don't panic - a teaspoon of flour stirred in will bring back smoothness to the cake mixture." This book is a great all rounder. It has recipes that will appeal to those who need to build a little confidence as much as it will to the seasoned baker ready to tackle the dreaded souffle. The new series of Baking Mad with Eric Lanlard is on weekday afternoons at 12.05pm. Click here to catch up Baking Mad. 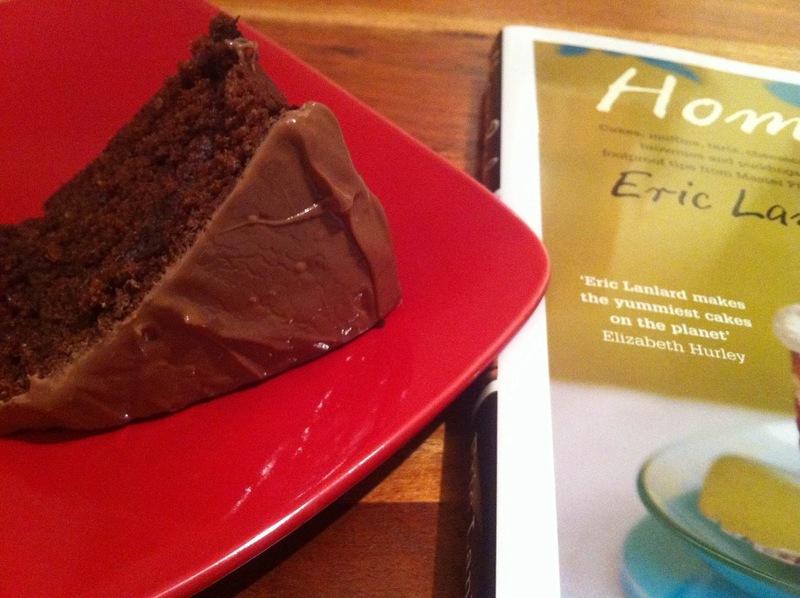 Disclaimer: I reviewed this book because I like watching cookery programmes and this book had a killer chocolate cake. I received no payment from the publisher for doing so.